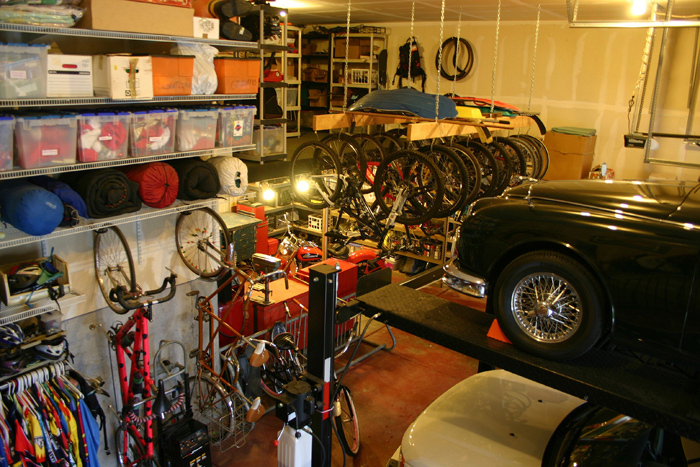 Always needing more storage space in a garage is a given, using sturdy stand alone garage shelves or wall mounted garage shelves helps keep the clutter in line. 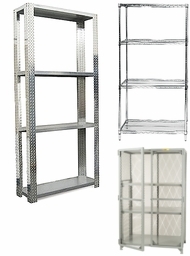 Made out of heavy duty steel, these shelves can withstand all sorts of different circumstances. 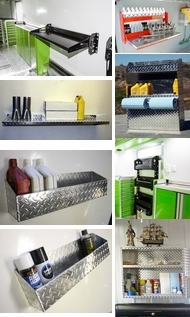 The shelving can hold everything from oil and paint, to water pumps and engine parts. 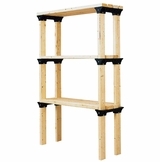 These shelves are rugged enough to work in almost every environment in a home garage or professional shop. Shelving can be the answer to the question of more storage space. Wire shelving makes for terrific garage shelving because it doesn't hold dust or dirt like wood shelving can. 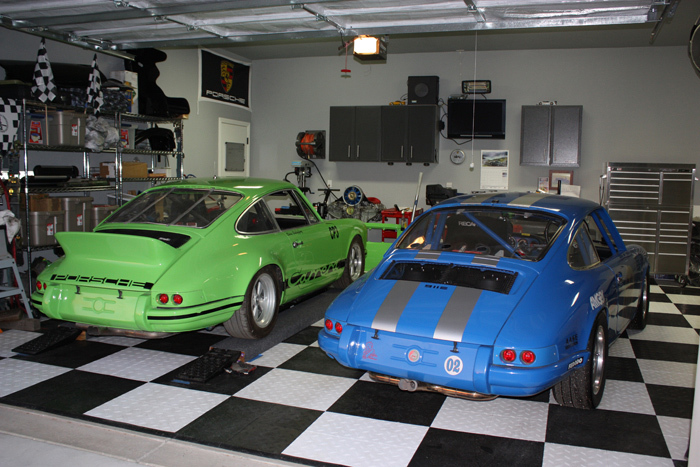 Often times in a garage, something ends up on a shelf and is forgot about for a long time. 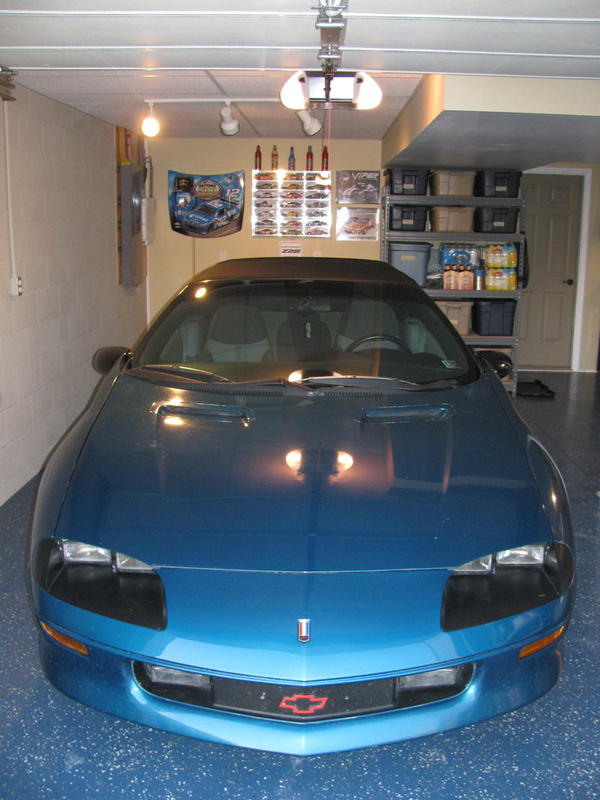 And we all know no one is in any rush to clean off the shelving in the garage, so it's best to put in shelving that will hold a lot of weight and be virtually maintenance free. 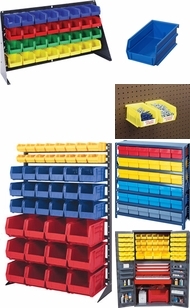 We also carry many different types of shelving with build in fold down workbenches. This shelving makes for excellent storage shelving for your cleaning supplies and with the fold out workbench it also gives you space to clean and tinker with smaller projects. 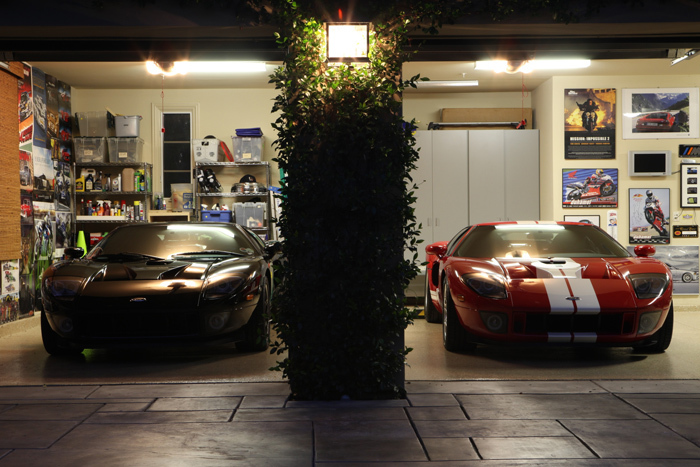 This shelving is great on the side walls of your garage because of the fold up workbench in front of the shelving. It takes up very little space when not in use so you can still easily get in and out of your car so you can take advantage of what may currently be an unused space. If you're into race cars, motorcycles, or snowmobiles, chances are you've got a few helmets around your garage to keep your noggin safe. 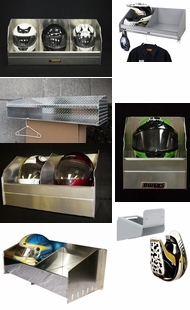 We also carry helmet shelving with individual compartments for each helmet. No more tossing your helmet on your workbench risking it falling to the ground and spider cracking, put it on the helmet shelving and keep your helmet safe for years to come. If you're into mud boggin 4x4 or live in a place like Chicago where the summers are hot and the winters are snowy, chances are you've got a few sets of tires for your vehicle. We have quite a few options for tire shelving from wall mounted units that keep the tires up and out of the way to floor standing racks that allow you to easily store enough tires for whatever the weather may be outside. 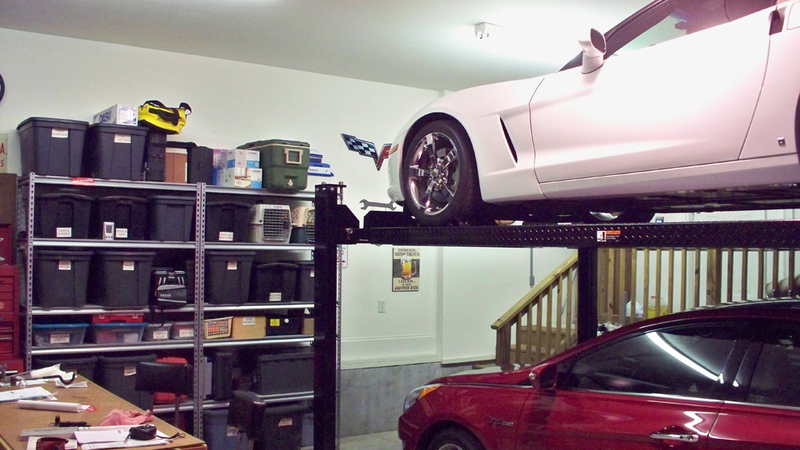 Garage shelving needs to be sturdy, durable, and is vastly different depending on what you do in your garage. If you don't find the shelving you need on our web site, give us a call at 800-736-9308 and chances are we can fit whatever shelving need you have.